Measurements: 11mm wide x 7mm high. 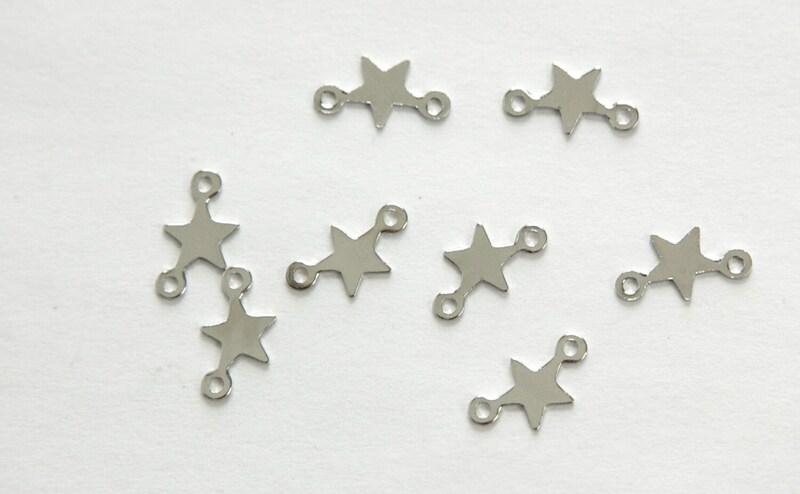 Characteristics: These tiny stars are flat on both sides and have 2 loops. Absolutely adorable little charms, thanks! These are great! Very delicate and will work well for the necklaces I am making.